Our patience has finally paid off and our very special little girl Katie is off to her new home near Valley Springs. 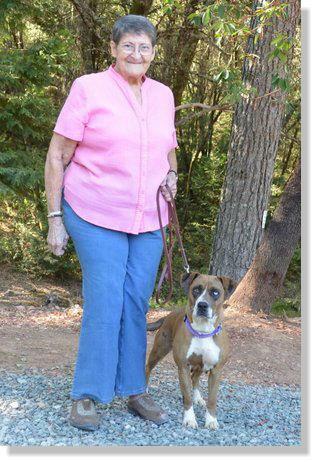 She is going to live with a very special lady who has always owned Boxers. Even though Katie is not a purebred dog, it was love at first sight for both of them. 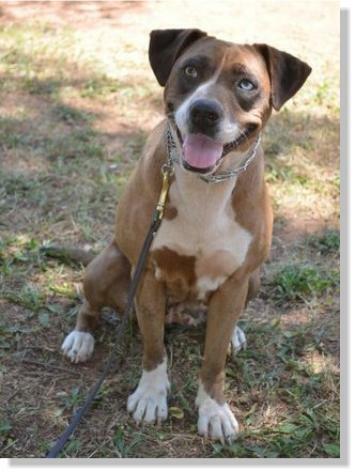 Good luck in your new home Katie and promise to walk politely on your leash for your new mom! The entire Twin Cedar Crew will miss you. This little cutie pie comes to us from the Calaveras Humane Society. Katie is a young adult female that the vet's think she is about 2 years old. She has obviously had two to three litters of puppies but that does not take away from her cuteness!! 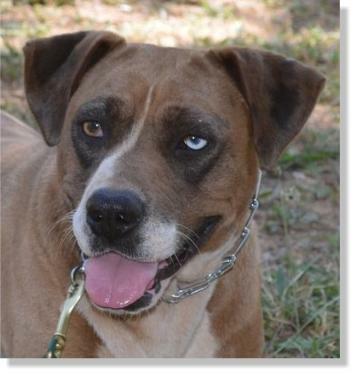 Katie is a very social little girl and we a guessing she is a cross between a Boxer and a Catahoula Leopard Dog. She probably has some other breed mixed in as well. 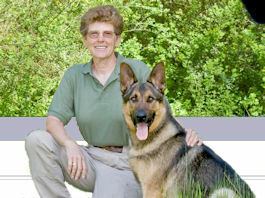 Katie is very smart and willing and just loves to come out and practice her obedience lessons. She gets along well with other dogs both male and female and has two roommates right now. are working in an area that is not fenced. Katie loves adults but appears to be shy around toddlers. She has a nice energy level, she loves to play but knows how to relax as well. It is unknown how Katie will do with cats although she does bother chasing the squirrels that come into her kennel. 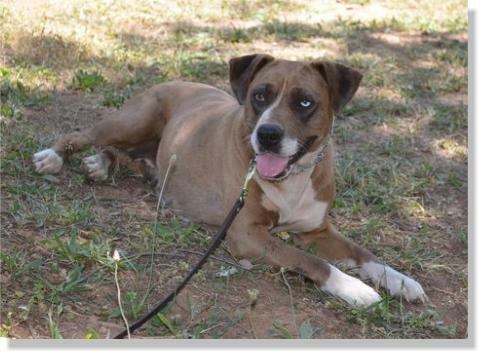 Katie would love to go to a home where she can be part of the family and have a big fence yard to keep her safe. Katie has a very pretty short hair coat that is easy to keep clean and requires no brushing! 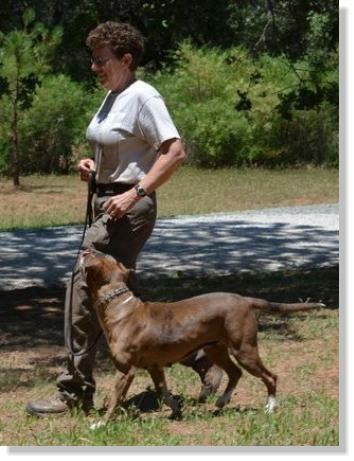 As you can see from the picture of her heeling, she has a pretty brindle coat that shines nicely in the sun. If you would like to be the one to give Katie her forever home, please give us a call to set up an appointment to meet her.